New York has been so cold these past days. No, more than cold. It has been that freezing that we haven’t been able to spend much time outside. This led us to activities like museum visits, shopping, and eating. A lot. When in New York, right? 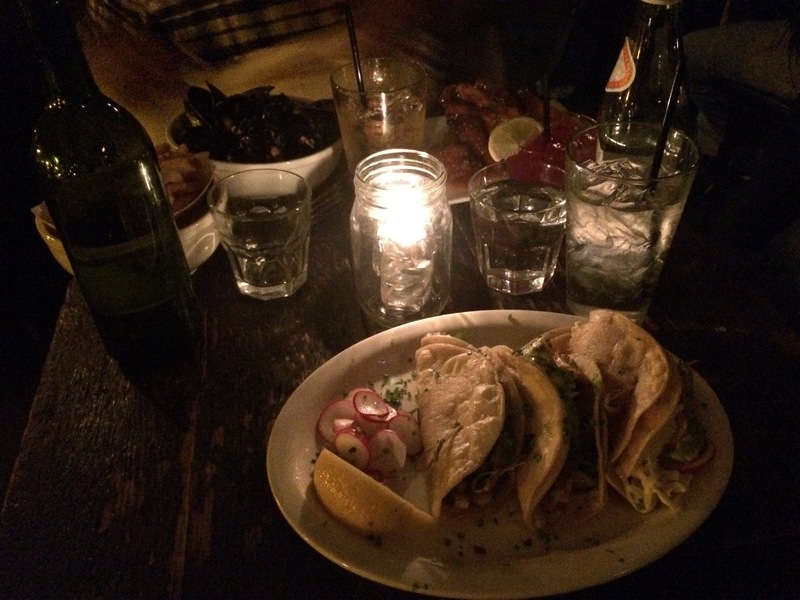 And wow, how much different and amazing food this city has to offer. As the big breakfast lover I am, we rushed to Buttermilk Channel this Saturday, when my brother found it listed in an article describing the best brunch places in Brooklyn. Located in Red Hook, we took a nice walk around the area before it got to cold and then went inside for coffee and brunch. Buttermilk Channel firstly offers a great selection of Bloody Mary’s which (when in New York) is an essential part of brunch. 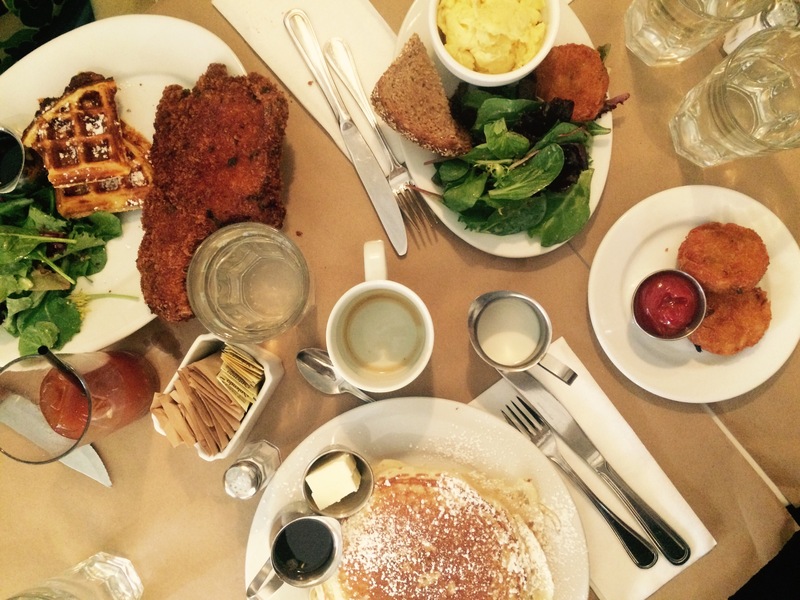 Besides good Bloody Mary’s we had stacks of American pancakes, eggs, fried pork, hash browns and bottomless coffee which is also a great part of brunching in New York. I found this place on Instagram a couple of weeks ago, and the cute little entrance intrigued me. 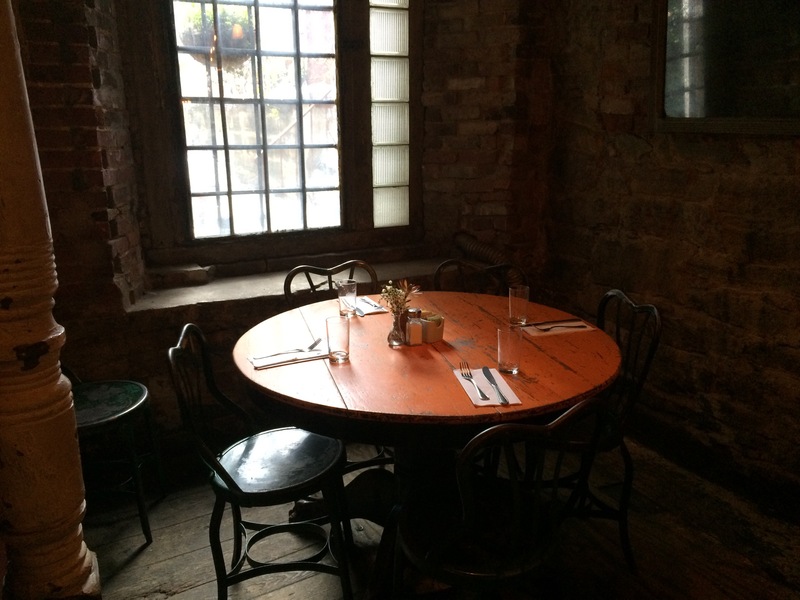 The Smile is located in Soho in a basement decorated with a fireplace and authentic old looking details like raw walls, wooden floor and ceiling, and cute round tables. The Smile serves both breakfast, lunch and different sandwiches and pastries. 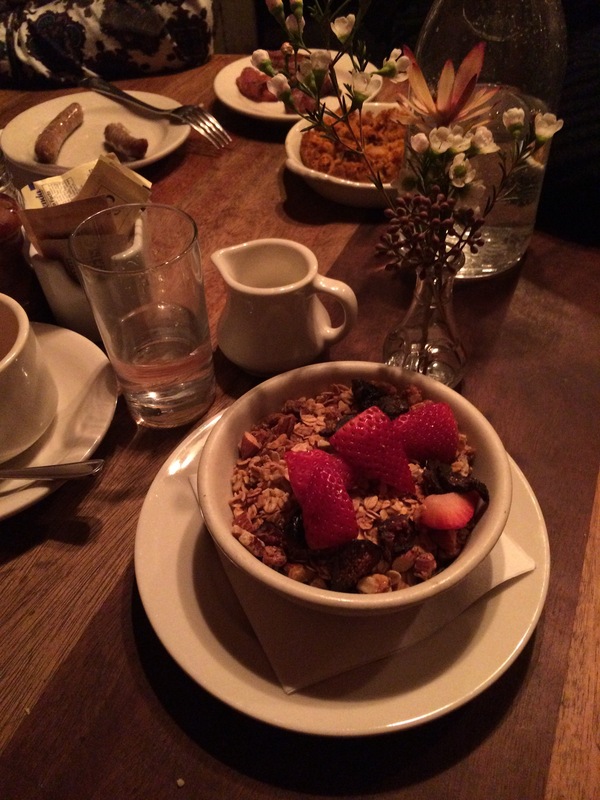 We went for breakfast and had granola, pastries, and some side orders. Especially the homemade granola with strawberries and greek yogurt was good. My first time ever eating Caribbean food, and boy, was it good! The Island might be the tiniest restaurant I’ve ever eaten at. To get a table you have to climb a narrow staircase to get to the second floor. I was just able to stand up straight there and just five little tables fit. This all added up to the great atmosphere the place had. The Island serves huge plates of food. Choose between different meats all served with rice, beans and salad. I had curry chicken and it tasted heavenly. The Black Swan is an English pub inspired restaurant and bar, that gives the guests a good experience providing a cosy atmosphere, drinks, and good food. The Black Swan even serves food until 3 am, so this place is perfect if you have late night cravings. The menu card contains original American and English dishes like chicken wings, steaks, burgers, macaroni and cheese, and much much more. The guests are seated in little booths or at the long table in the middle of the room, or if they feel like it it is also possible to eat at the bar.